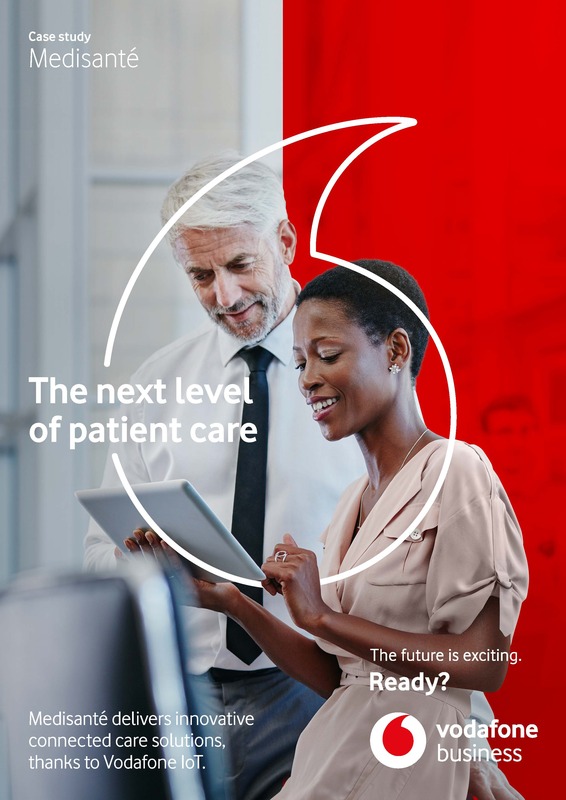 Medisanté develops innovative connected care solutions with Vodafone IoT. Medisanté is improving how chronic illnesses are managed whilst also lowering healthcare costs, with Vodafone IoT. The goal of Medisanté is to develop a turnkey connected care solution and market it worldwide. This currently includes a range of medical devices connected via the mobile network, a powerful software platform for healthcare providers and in-country data storage. The health data the patient captures about themselves using Medisanté’s devices is securely transmitted to their doctors, hospitals and healthcare providers. Medisanté was looking for a partner that could provide the global IoT connectivity it needed to connect its measurement systems to its connected care platform. Vodafone’s powerful and flexible IoT platform covers all of Medisanté’s needs, and the company is already integrating global SIMs into its connected medical devices. SIM card management, cost control and data access are all covered by the Vodafone Managed IoT Connectivity Platform. This offers interfaces that enable Medisanté to transmit the recorded data to its secure platforms. Unlike other solutions on the market, the Medisanté connected care system does not require patients to use a smartphone, app or local Bluetooth connection to transmit data. Some patients often find it easier to use for this reason.